How to fight? There are some simple technique and some clever ones that you need to master in order to fight. This will let you fight the strongest and the biggest opponent you will come across. Before you get into that kind of situation it is better if you practice. It is a must that we learn how to defend ourselves before getting into a situation where we helplessly stare and get beaten. There are many bad people out there and there are numerous reasons why you might get hit for example, a robber can hit you to take your stuffs, a bully can attack you or someone who does not like you may want to get you out of their way. Normally, people do not expect to get hit in the middle of the street during daylight. You never know when you can be a victim! You can have zero ideas and fall prey. For this scenarios, it is not necessary that you spend years after years training to be a karate or a kung Fu master. You can simply read on and find out how to fight. Step 1: First of all, try to run here and there in random motion and in different paths. It does not mean you give a marathon run in a straight line just like you see in the movies because eventually you will get tired and that person will catch you and hit you. Instead, stay in the same place and maintain a certain distance that he cannot reach and go here and there. It will not only make him fatigue but also he will struggle due to deficiency of energy. The reason is because when he will be running after you in a reason line it will be like an athlete and he will be in balance. Pace is not important here but the elements are. You have to focus and train yourself to maintain a distance in this cases and avoid getting a punch or a kick. Step 2: Try to kick your opponent. After he has become tired, it will be easy to kick him. 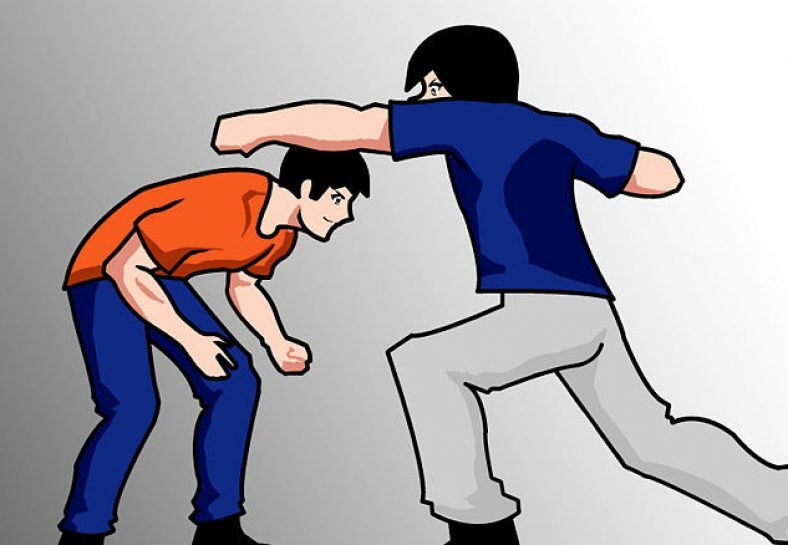 You are maintaining a distance to avoid his punch but what you should know is that your legs are longer than his punch. Therefore, kick and move away so that he does not kick. Use your secondary leg and get your thigh analogous to the ground. Practice this as well and it is not as hard as you are thinking because this is the first thing they teach you if you join Martial Arts. Here, you have to maintain your balance because there is a huge chance of falling down. Step 3: In case his punch is reaching you, stop him with your fist. Take him down. In order to do that, you need to practice this. The second thing you need to do to take down someone stronger is by increasing your strength. Start with lifting weights. Do not start heavy at first, go slow. The squat is the best strength-building exercise. This entry was posted in Technology on October 18, 2017 by Tom. How to reset iPad? If you are thinking of giving your iPad to someone or just selling it, you need to make sure your customer gets a new and clean one. While you take care of the exterior by wiping it with a soft cloth, you need to take care of the interior as well. Here is how you can do it. Step 1: Completely turn of your iPad. Get the cable that you use to connect the iPad to the computer. 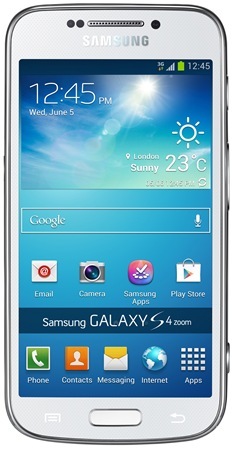 Step 2: Press down on the home button while you insert the cable. You will get a small logo of the iTunes in the center of the screen of your iPad and there will be a photo indicating you inserted a data cable. Step 3: If you look at your computer screen, you will find that there are two options. One is asking if you want to restore and the other one is update. The third button is if you want to cancel everything. Step 4: You should know that pressing on “Restore” will make it like it was when it was brand new. It will be like when you first unwrapped the iPad from its package. After clicking on it, you will get another dialogue box saying if you want to restore and update or you want to cancel. Click on “Restore and Update”. Step 5: Make sure you have the latest software from beforehand because it will take a long time to get it on your computer. The speed depends on the Apple server. If you see that it did not work, repeat the process of holding down the Home button and inserting the cable. While the reset method is working, you have to wait. 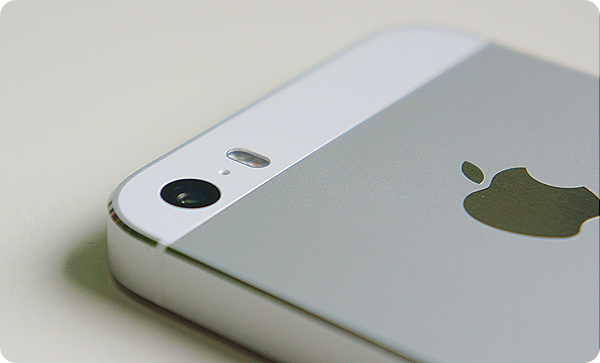 Step 6: An Apple logo will be visible to you with a loading bar underneath. Wait for it to load. Do not press any button while it is loading. You will receive a message on your computer screen that will go away within few seconds. It will say that your iPad has been restored to factory settings. It will restart. Step 7: You will see the Apple logo still sitting on the center of the screen of the iPad with a loading bar below it again. The second time it is making sure that the reset procedure is competed successfully. Take the cable out and wait for it to load. Step 8: The simplest method to activate is connecting to Wi-Fi connection. 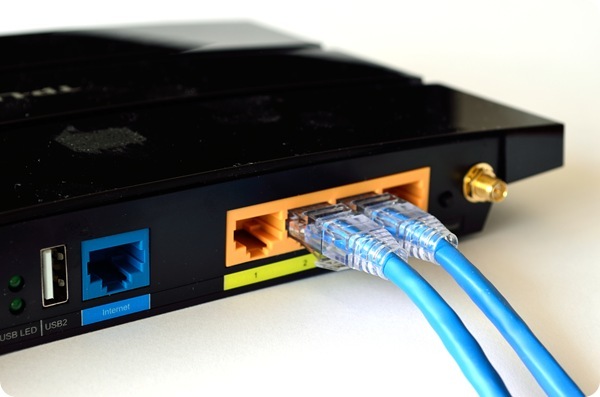 If you do not have a router or a Wi-Fi connection at the moment, go with a 3G sim or connect with the cable. It will become brand new and you will see the “Hello” screen. Step 9: There will be no screen locks or passwords now and if you are going to use it, you must select the language and country. You will get a message when your device is ready to use. You can set up your iPad with further options. • Do not get impatient this is a slow process. Playing Wii or even Wii U is definitely something you want to try out one day in your life. 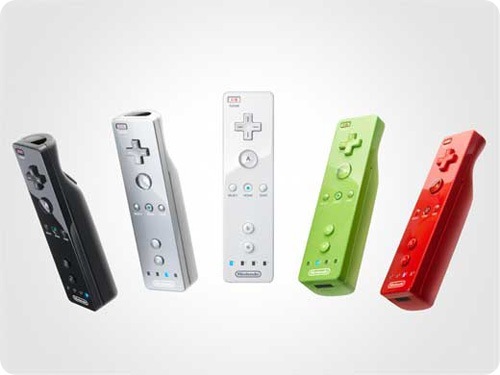 However, before you can play the game you should definitely get your hands a Wii remote, especially if you friends keep carrying there Wii remote every time they come over to your place. Therefore, avoid the embarrassment and get a remote for your home. Once you have it, all you have to do is sync it and you are good to go. However, you might find yourself not in a position to sync the remote as it might be new to you. Therefore, you will need to learn how to sync a Wii remote. You can try reading the manual, but if the instruction are unclear, you need not worry as you can read on and find out how to sync a Wii remote. In this method I will take you through the various steps on how to sync a Wii remote with a Wii. The first thing you need to do is to ensure that your Wii is powered up. Plug it to a power socket and switch on the power button. After this, you need to ensure that it’s not running any program at the current time you power it on. The second part include the syncing of the Wii and the remote itself. To do this you need to reach the sync buttons on either of the devices. On the remote, you need remove the back cover first while for the Wii you need to flip the SD cover. On the Wii you will see a button with the words “SYNC” on it. On the remote, the button I usually under below the battery section. Press the sync button on the remote and see the light son it begin to flash. Immediately you do this, you need to ensure that you quickly press the same button on the Wii as well as the lights are still flickering. When the two are totally synced you will realize that the lights will stop blinking and become totally solid. Once the above is done, you have successfully synced your remote with a Wii. However, there are some glitches or challenges that you might face as you sync the remote. Therefore, to ensure you are fully equipped for the task ahead, the following are some of the setback you might encounter. Your Wii will definitely be unable to sync to our remote if there are running games or channels on it. Therefore, you need to ensure they are all off and even remove any cd from the Wii for an easy sync. For you remote to sync with you Wii, it needs to be powered up properly so that it can support the signal transfer. Therefore, ensure that you have the required battery for the job. Lastly, ensure that your sensor bar is also placed either above or below the Television. How to delete songs from iPhone? You may want to remove some songs or a full album from your iPhone if you do not hear it anymore or you stopped liking it. iPhone has a lot of great features and letting you listen to good music with a high performance is one of the abilities of it. You can add a lot of songs and albums and listen to them whenever you want. Here is how you delete songs from the device. Delete from your phone without iTunes It is pretty simple on iOS 6 or an iPhone 6. Here is how you do it. You click on the Music option at the Home of your device. If you want to remove an entire album to free up more space just swipe it on the left side and an option known as “Delete” will appear. Click on that. If you are thinking of a particular song, you have to enter into the album and do the same thing on the song. Press “Delete” to get rid of it. When you are doing this make sure iTunes match is not on. What you can do for the iOS 7 or iPhone 7 is not the same thing, because if you swipe on the song, it will not show the Delete option. Click on Music and enter into albums, click on the song’s name and enter into a detailed page of the song. There you can swipe to get the Delete option. Delete from iTunes to delete from your computer, go to iTunes. On the top right, click on iPhone. You will get a page full of a lot of info like back up and other options such as manually manage music and videos and etc. Click on Music on the top. You will find your artists, genres, playlist and albums. From the four sections, select what you want to get rid of. Delete all songs Here is how you can delete all the music from your iPhone 6, iPhone7 all at once. This is useful if you are going to free up a lot of space at the same time. This will also come in handy if you are selling your phone because you need to get rid of your music because the new owner is not going to want the music of the old user. This also saves time because individually deleting songs take a lot of time. This does not even require iTunes. Go to settings and check if your software is up to date. The first option is About so click on that. You will get the number of songs, videos, photos etc. on your phone. Click on the third option which is Usage and see how much space each of them are occupying such as 12 GB for music. Click on Music and swipe it left and the option to delete will appear. Click on that and if you see that there is no data left, and you get the message then your work has been done. Apple TV is a gushing and availability gadget made and sold by Apple Inc.
Why not take after the insert word equation, as iTV? ITV is requested by the British Physical TV arrange and undermined to make a move if apple did not utilize an alternate name. Apple TV is a web apparatus and amusement framework which pull spilling information from a few sources bearing in mind the end goal to play it on a perfect TV. Apple TV can demonstrate superior quality motion pictures and pictures when connected to a HDMI TV that is placed in HD mode. Mac television is supervised by the related Macintosh television remote gadget or by means of an iPod touch, iPad, Macintosh watch, or iPhone by utilizing Wi-Fi capacity and iTunes remote application on iOS gadgets. WiFi permits apple television to correspond with the iTunes store and pull data from Netflix. Hull additionally. Now TV, Youtube, Vevo, a few vast name link systems, notwithstanding MLB, NBA NHL and ESPN. On the off chance that you have iTunes you can play on apple television. 1st. 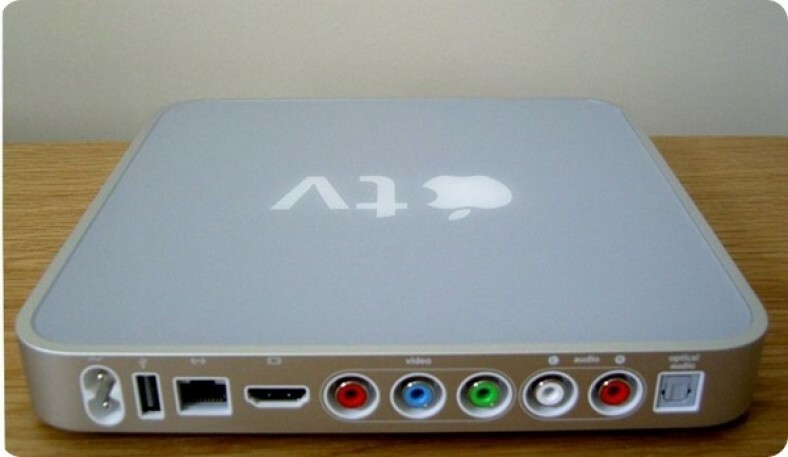 The first generation Apple TV was released as an experiment on September 12, 2006, with an operating system that was built on the Mac’s Front Row and incorporated the Apple Remote. Storage went from 4 GB hard discs to a 160 GB models in May of 2007. 2nd. 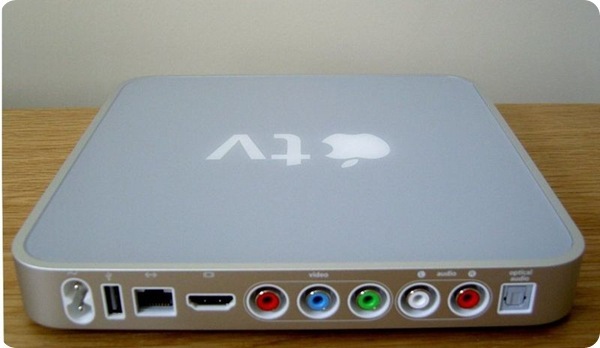 2nd generation was sized down in a black case, a fourth of the size of the original Apple TV. It did not obtain an internal hard drive but instead 8 GB flash storage and enough ram for buffering. By this point, Apple TV was strictly a streaming device, coordinating with iOS devices via Airplay. 3rd. Front row interface was discontinued while the 3rd generation was in-the-works. Although very similar to the second generation, the third generation apple tv had a single core processor and maintained 1080p content. 4th. The fourth generation Apple TV comes out October 30th, 2015. “THE FUTURE OF TV is APPS” -Tim Cook siri capabilities and motion sensor. Apple TV utilizes a HDMI cable to join with a TV, which does not come included with the gadget. Once the gadget is linked, clients can do a brisk set up by setting a current iOS gadget on top of the container and entering in their Apple ID information. In the event that the gadget being utilized isn’t instantly good, take after the prompts to complete the setup. After the setup is complete, customers can see the majority of the substance already obtained on iTunes or transferred to iCloud in the “Music,” “Programs” and “Motion pictures” menus. Customers can likewise buy or lease an extra substance from iTunes. Airplay highlight lets clients to unite the gadget to Mac PCs or iOS gadgets and stream content put away there. The element extends the gadget’s screen onto Apple TV, letting consumers access photographs, music, recordings and applications introduced on the gadget. Apple TV additionally underpins gushing administrations, for example, Netflix and Hulu Plus. Consumers can sign into their memberships for these administrations and use Apple TV to stream content. This entry was posted in Technology on September 27, 2017 by Tom.